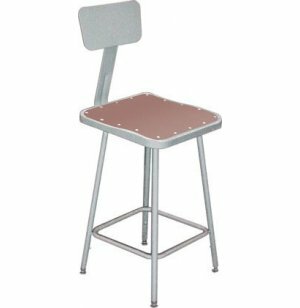 These 6000 Series Metal Square Stools with Backrests are perfect for any lab. Features a 20-gauge die-formed steel pan with fully curled edges for strength and safety. Two seam-welded U-shaped leg sections of 18-gauge, 7/8" o.d. tubular steel frame. Foot rings are welded to each leg at four points for extreme durability. Backrest is adjustable within a 2-inch ragne to customize support and provide more comfort. Backs and adjustable legs require some assembly. 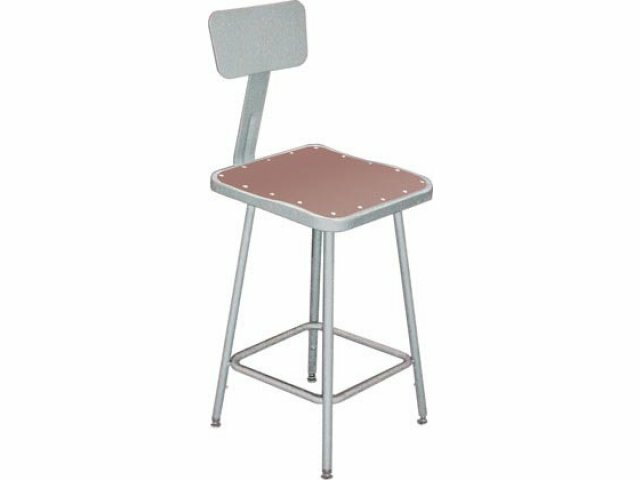 Square Stool Seat Size: 15"W x 14.5"D.